An announcement is made at a meeting of the British Intelligence Joint Counter-Terrorist group: “The opposition may be about to deploy an invisible.” An “invisible” is CIA-speak for the ultimate intelligence nightmare: a terrorist who is an ethnic native of the target country and who can therefore cross its borders unchecked, move around the country unquestioned, and go unnoticed while setting up the foundation for monstrous harm. Intelligence officer Liz Carlyle has had to prove herself in countless ways as she’s come up through the ranks of the traditionally all-male world of Britain’s Security Service, MI5. But this announcement marks the start of an operation that will test all her hard-won knowledge and experience–and her intelligence and courage–as nothing has before. Having analyzed information from her agents, she realizes that there is indeed an imminent terrorist threat. She may even have the invisible’s point of entry. But what she cannot draw out of all the “chatter” is the invisible’s identity and intended target. With each passing hour, the danger increases. As the desperate hunt continues, it becomes clear that Liz’s intuitive skills, her ability to get deep inside her enemy’s head, are her best hope for tracking down the terrorist. But will that be enough? And can she succeed in time to avert a disaster? 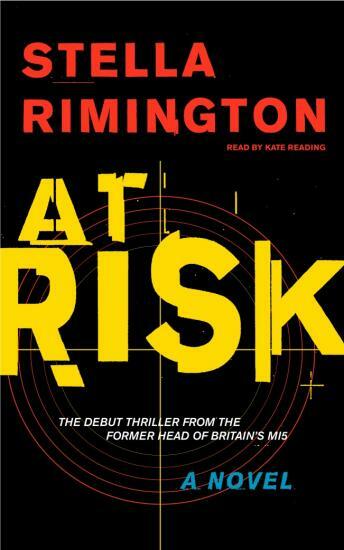 Drawing from her experience as the first woman director general of MI5, Stella Rimington gives us a story that is smart, tautly drawn, and suspenseful from first to last. At Risk is a stunning debut novel that plunges us headlong into today’s shadowy and fever-pitched battle between terrorism and Intelligence.